Dead Boy is an easy and fun read about Crow. It is loaded with magic, suspense, and wonderful characters. Crow and his friend Melody are likeable characters. While they have different views about life and death, they respect each other and their journey together is just great to read. The character development is what really brings this book to life. The emotions are realistic while keeping with the magical feel of the story. 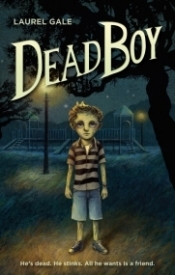 Dead Boy has a great underlying message about the importance of friends and family. The book has a few twists and turns and some great action sequences that will keep readers engaged the entire time. The book is highly engaging and will definitely find a spot in the classroom. Highly recommended.